New Delhi: The Prime Minister, Shri Narendra Modi, today invited the Oil and Natural Gas Corporation – the ONGC – to take up a challenge, on the occasion of Pandit Deendayal Upadhyay’s birth anniversary. 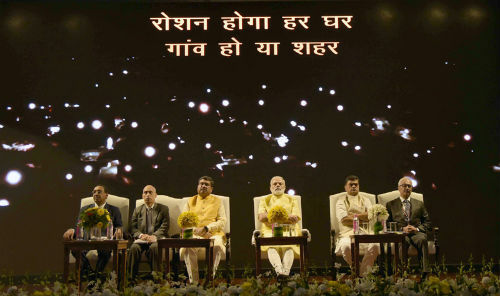 Addressing officers and staff of the ONGC at a function to mark the launch of the SAUBHAGYA Yojana, the Prime Minister exhorted them to work towards making an efficient electric chulha (stove), which would enable cooking through the use of electricity. The Prime Minister said this innovation would, in one stroke, significantly impact the nation’s dependence on imported fuel. He said that while the world is working towards electric cars, in India, in addition to electric cars, electric stoves would go a long way in meeting the needs of the people. He asked ONGC to invite startups and youth to innovate in this field.